Weight is gained or lost due to calories. When the body consumes more calories but spends less, the extra calories pile up inside the body to boost fat deposits. If less than necessary calories are consumed, the body experiences tiredness and fatigue. The key is to consume the correct amount of calories. An average man needs around 2500 calories and an average woman requires about 2000 calories per day. Include lots of starchy food items like potatoes, rice, cereals and bread in your diet. Eat plenty of fruits and vegetables throughout the day. Include fish in your diet as it is rich in protein, minerals and vitamins. Food items rich in sugar, salt or saturated fat are harmful for the body. Avoid pastries, biscuits, cakes, soft drinks and alcoholic drinks which contain high amount of sugar. Control the intake of salt as it increases blood pressure. Consumption of salt must be restricted to less than 6g a day for anyone above 11 years. Saturated fats must be avoided as it increases the cholesterol count and the risk of heart diseases. Butter, cakes, cream, biscuits, cheese are a few items rich in saturated fats. Healthy habits are essential for a healthy body. Do not skip breakfast. Drink plenty of water to keep the body hydrated. Daily intake of at least 1.2 litres of water is necessary for an adult body. Fibers are an important part of our daily diet. They contribute to various processes inside like the tempering of blood cholesterol, laxation and the attenuation of blood cholesterol. Fibers have been classified historically as soluble and insoluble fibers. Soluble fibers include whole grains like oats. Insoluble fibers include resistant starch which has been known to contribute to bulking. 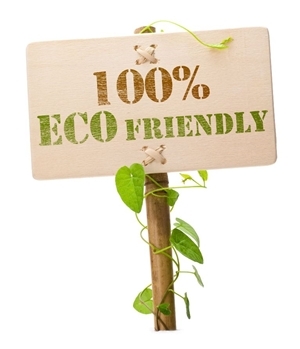 Several other fibers are attained from animal as well as plant sources. Studies have shown that whether soluble or insoluble, every fiber is necessary for the proper functioning of the human body. Fibers provide a range of health benefits. While some help in regularity through bulking, other fibers are known to be beneficial to the human body by helping in lowering blood cholesterol and glucose levels. The small intestine has been known to play an important part in fermenting fibers. Viscosity, Bulking and Fermentation are the three main benefits fibers grant to the human body. Three benefits the human body cannot live without. And hence Fibers are an important part of our diet. Studies have shown that women should consume at least 25 grams of fiber a day in their diet, whereas men should consume at least 38 grams. Research by the American Heart Association has shown that more than half of the Americans consume much less than this estimated figure. As a result of this, major food companies have started fortifying their food products with Fiber. The Fact that Fiber can withstand the processing of food products makes the process much easier. It is important to consume fibers from a wide variety of sources, not just fortified food products, to maintain an optimum state of health. Whether you like it or not, it is a true fact that we are killing our planet little by little by exhausting the resources and abusing them selfishly. Global warming is not some stupid lingo crazy people blabber about. It is true and it is so close by. There are some very small steps through which anyone can contribute to help the planet survive better. Use public transport: It is convenient to own a car, even better would be to own multiple cars, one each for each member of the family. You are rich; you can afford the petrol rates, so why bother, right? Even if you are paying for the petrol, the planet is paying the price for it. Make public transport your preferred way of commuting. Even better will be to use a bicycle to travel. Reuse, reduce, recycle: Yes it is convenient to go for the plastic bag offered at the grocery shop. But it doesn’t hurt to carry a reusable fabric bag with you, does it? Buy less. Use stainless steel cutlery instead of the use and throw ones. Eat Fresh: Buy fresh produce from local markets for preparing food. Avoid buying frozen or canned products. Opt for the seasonal fruits and vegetables instead of the packaged ones. Avoid eating packaged junk food and packaged drinking water. Turn off the lights: Turn off all lights whenever they are not in use. Switch off computers whenever you are going away for a long while. The sleep mode for computers is not meant for a long three hour long break. Change the incandescent lights to energy saving cfl ones. Give away: There might be a million people who might want to use your out of style cutlery or the nice sweaters which became tight for you. Make it a habit to give away the things you do not need to charity. Think twice before dumping things in the garbage. Together we can save the planet. If simple steps lik e eating certain coloured foods can protect you from getting a terminal disease like cancer, why should you stay away from it? It is true. Eating red coloured fruits and vegetables will considerable reduce your risk of cancer, says research institutions like the National Cancer Institute. The phytochemicals like lycopene and antocyanins found in bright red or pink coloured fruits and vegetables will help the human body to stay healthy and fight cancer. Lycopene, the component found in watermelons and tomatoes are integral in reducing the risk of several kinds of cancer including the most common prostrate cancer. 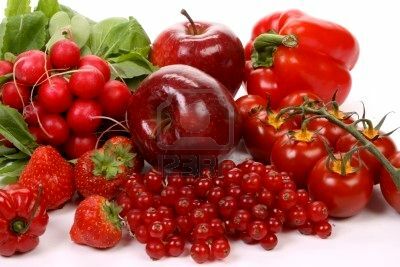 Including red fruits and vegetables rich in lycopene will reduce the risk of prostrate cancer in men considerably. Fruits and vegetables like strawberries and beetroot contain the antioxidant called anthocyanins. They are helpful in controlling blood pressure. They are also helpful in protecting from diseases like diabetes. Next time you make a thick tomato soup or a sause for your pasta, you are doing yourself a great favor. When you cut those watermelons and guavas, you are probably saving yourselves from the deadly disease. Relish on platefuls of rajma-chawal, be generous with the red onions you chop up for salads or curries. Eat as many strawberries as you can, for you will not know what all diseases you will be preventing while happily hogging on these delicious things. Happy eating to all!